Let me coach you and your body to flow better! Take this online Back Care class first and then join us daily for movement in our online group! 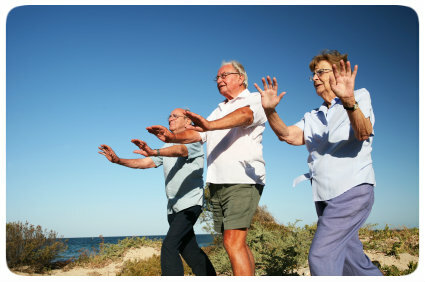 First off, there are many different kinds/forms of Qigong as it is an ancient energetic movement system. Once you find the forms you like, stick with that energetic form from that master and practice those forms daily. Your body will love it more than hopping from here to there with different teachers and different energies. See what happens with a commitment to one energy. Back Care is a healing form of QiGong energy given to us through Chan Zhang, my master teacher. I am her student who she has trained in 4 different energetic forms and I am grateful for this spirit-filled transfer of information and technique. Hundreds of Acupuncturists have been offering Back Care to their clients over the years thanks to Chan who worked at the formerly known East Coast Tai Sophia in Maryland for +25 years (now the Maryland University of Integrative Health). A gentle 16 minute form practiced daily, Back Care will most definitely help you wake up in the morning, stretch your body and ease your back issues. Anyone can do Back Care, standing or seated or in the imagination as energy is everywhere...even over the internet!! It is easy to learn and do so great if you are limited in. movement. Back Care is healing and gentle exercise for the body. It will help strengthen your back and body. It will help increase blood flow and stretch your muscles. Back Care will open up the blockages in your body and create space for shifts of wellness. It is a movement meditation so if you can't sit still to meditate, this is ideal. Come take care of your back and whole body! Move even if you are limited! after many requests from those living far away and wanting to access the Qigong that I teach, I have decided to offer online classes! Check out how to access this below. 1. Register below via PayPal and/or credit card. Once you click on PayPal it allows you to pay with your credit card as well. This is a one time charge and offers a form that will benefit you for the REST of your life. 2. "Like" me, Michelle Dubreuil Macek, on Facebook and I will then add you to the PRIVATE Facebook TRAINING PAGE where you will be able to access the BACK CARE Qigong training LIVE or in your own time . 3. After the training, I will add you to the private Facebook page called Daily Movement with Michelle where you will find the full visual of BACK CARE (the non teaching one) to use as you learn the form. 4. After the training, I will then send you the audio of the BACK CARE form via email which you can download into your phone/computer. 5. The teaching visual "LIVE" will be permanently on the Daily Movement with Michelle page, so if you want to SEE it again, and practice with me daily, you can go into 'VIDEO" and access the two days of teaching. Awesome! 6. You will also have access to all other BONUS movement Qigong teachings and tips that I will post as readable posts, instructive LIVES, and/or audios. There is so much to talk about, so I think you will enjoy the posts. Unlike other online courses, I will be available to you to answer questions and show you more!!! 7. As stated above, Daily Movement with Michelle is a paid community membership Facebook page (included in your tuition). For you, this page will be a daily access point for all things movement and staying IN your body, juicing up your joints and calming your mind such a meditation techniques and de-stressing movement LIVES. 8. Get ready to access 16 minutes of pure joy and flow. Click that button! Michelle Dubreuil Macek has been trained by Chan Zhang in Back Care, Dance of the Phoenix, Dance with Nature-Follow the Seasons, Morning Qigong and Qigong for Seniors. I began the practice of QiGong at Life Dance Loft about four years ago. I was strong but was surprised how my flexibility increased, without straining. After three sessions, I could balance and crouch without support (for the first time in years). I'm particularly fond of the Back Care form! Within a few minutes of starting its gentle movements, I release tension, balance physically, breathe more deeply, and am emotionally calmer. Whether I do it daily, weekly, or intermittently, Qi Gong restores my self-awareness and energy. valid for online training of back care form; includes audio and FB LIVE video permanently; form and function explanations on the two days of training and BONUS lives I will post afterwards on the private page.